I really like lip balm and I always have one on me, in my pocket, in my bag, in the car, wherever. Even so, I think it might take me a while to get through these! These little cuties are halfway between balm and gloss, and they smell as incredible as they are cute! The blue one is mint, the yellow one is vanilla, the silver is cinnamon apple (amazing) and the pink one is strawberry. I have a grey one (chocolate orange) and a gold one (caramel) as well, but they’re tucked in pockets somewhere… You can buy these here. 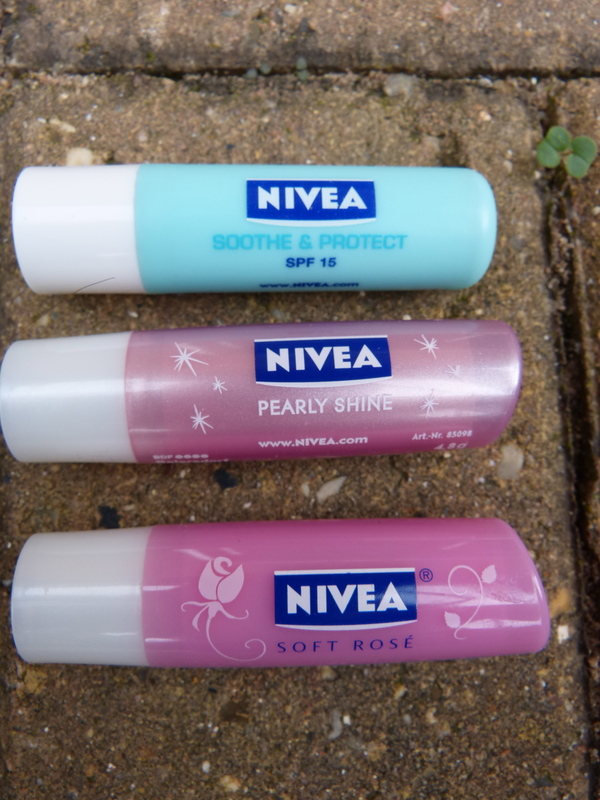 These Nivea balms are my standard grab and go balms – no fuss, and simple to apply. The Soothe and Protect has no flavour, the Pearly Shine has a sort of sherbert flavour, and the Soft Rosé one is rose-flavoured. I would recommend any Nivea balm except the Pearly Shine, which leaves a shimmery white cast on my lips – I can’t imagine it would suit anyone! 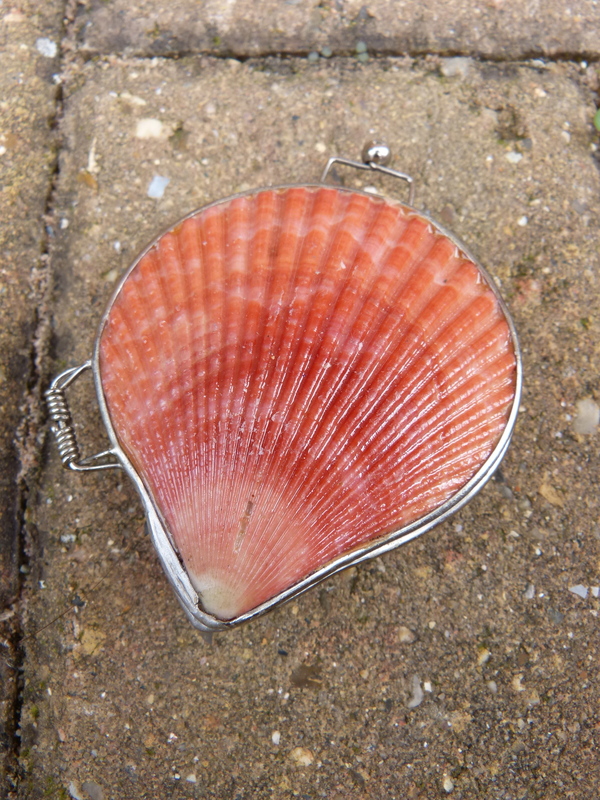 This beautiful shell actually has a lip balm inside, which I’m using very sparingly as I don’t want it to be finished! It makes me feel like a mermaid when I use it – and even better, the shells are natural and the lip balm is completely organic. Take a look at the Shell Lip Balm website to see other gorgeous designs! Two of my more recent finds here, although both already beloved. 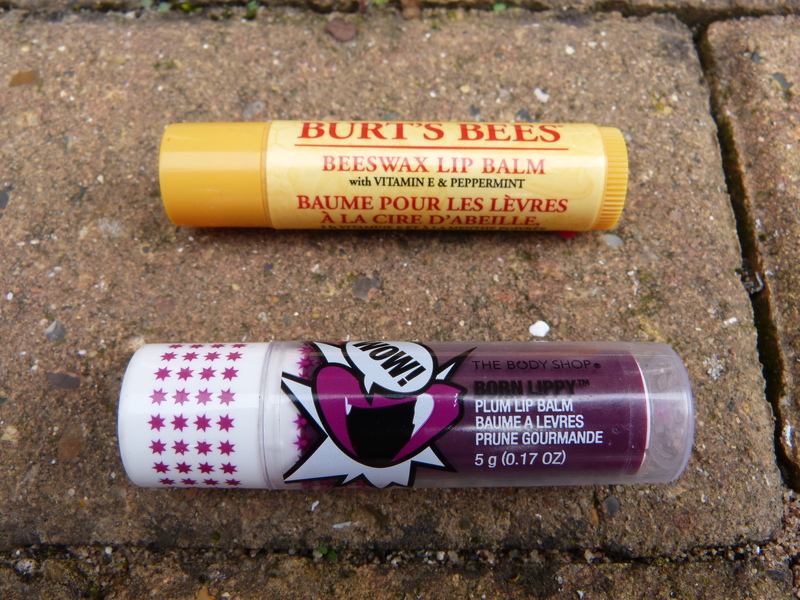 The Burts Bees lip balm has a pretty floral honey scent and is very thick and moisturising, which will be lovely for colder weather, and the Body Shop Born Lippy Plum lip balm (which I got free with a Vouchercode a couple of months ago) is a very nice tinted balm with the most gorgeous fruity scent. 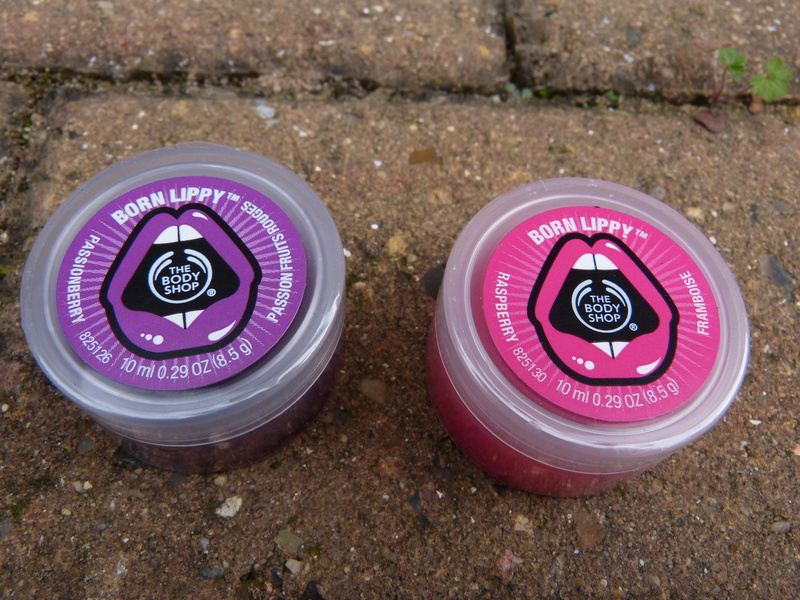 In fact… I really love the Born Lippy balms. I have five, but only because one was free about a year ago (good old Vouchercodes again) and the others were on a better and better offer the more you bought, so they ended up being just over a pound each. These are my favourites for keeping by my desk. And then these, which you’ve seen me rave about recently (Honeymania, Dragonfruit). 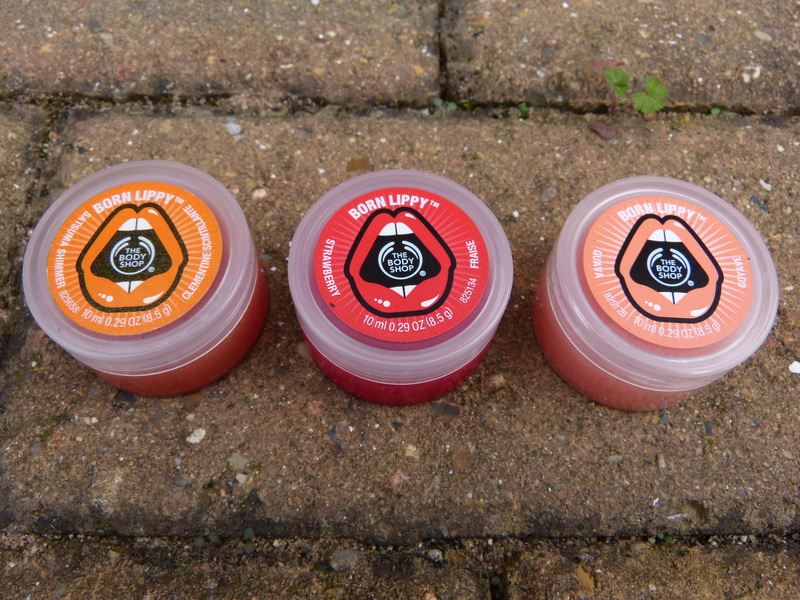 I love love love the texture of the Body Shop lip butters – they’re like body butter for your lips (duh). And it helps that these smell divine too! 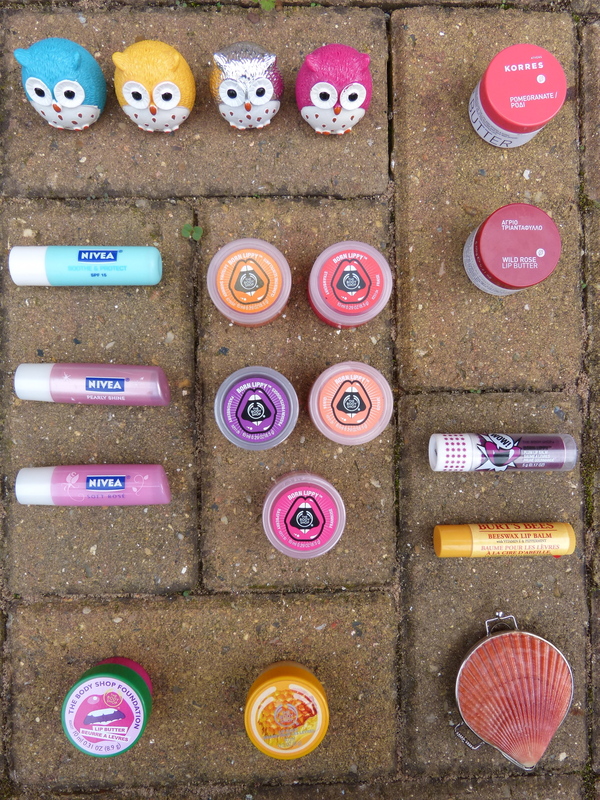 This entry was posted in Beauty and tagged beauty, beauty products, born lippy, burts bees, honeymania, lip balm, lip butter, lip products, make up, Nivea, nivea lip balm, the body shop, the body shop lip butter. Bookmark the permalink. 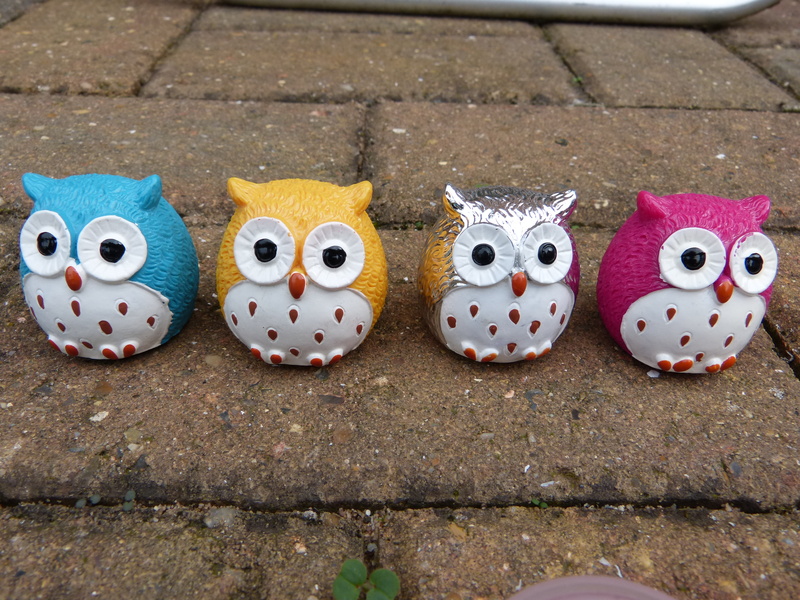 i LOVE the owl lip balms! I’ve been wanting to try that pomegranate one for ages! I saw this and felt nothing but envy. I always have around six on the go, it’s not just you! I’m trying out a lip balm ban on myself until I’ve used up all of the ones I’ve got (four left to go). Then and only then, will I allow myself to get a Burt’s Bees or Body Shop one. I have a lip balm addiction too & LOVE the Korres lip butters. They are so pigmented & hydrating. Yes, the Korres ones are so good! I love the Rose one in particular, just such a nice colour 🙂 Which flavours do you have? It’s not just you! I have so many because I always lose them, justify buying more, and then find them again! I would love to try the Body Shop Dragonfruit one or the Korres brand. Ah, the lost lip balm… A crisis I am more than familiar with! Also if you love peach flavours/scents you might like Maybelline’s Baby Lips in Peach Kiss (available in Boots) – a sort of buttery stick, faintly shimmery and good enough to eat. Those owl lip balms are seriously the cutest!!! It’s been 4 days! I miss your posts. Haha, sorry! I know there’s no excuse but I’ve been working double shifts the last few days (10-10 with a two hour break in the middle) so I’ve not really had blogging on my mind! Ok, I’m glad I’m not the only one with a problem. It’s bad enough how tempting LUSH products are. I seem to be working my way through the whole store. But lip balm… I seem to buy every single lip balm I see. I think I have more than you, which is clearly not healthy. Is it just me or do you feel the need to reapply your lip balm and sniff it every 10 minutes?! Honestly, lip balm is a drug for me! Oh my, that’s not a problem. At one point I could reach into any pocket in any coat, purse, pair of pants, shirt, husband’s pocket or random stranger off the street’s pocket and find a lip balm. I did a purge many years ago and found about 20 I had ZERO knowledge of. Turns out I like the idea of lip balm more than I actually like it!